On Friday night, the “Oscars” of the toy industry took place in New York City. 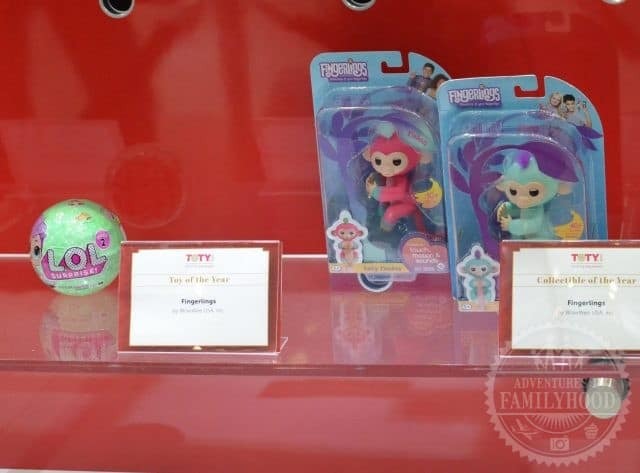 The 2018 “Toy of the Year Awards” were announced at a gala that served as both a kick-off to Toy Fair and also a major fundraiser for the Toy Foundation “to help bring joy to children in need”. 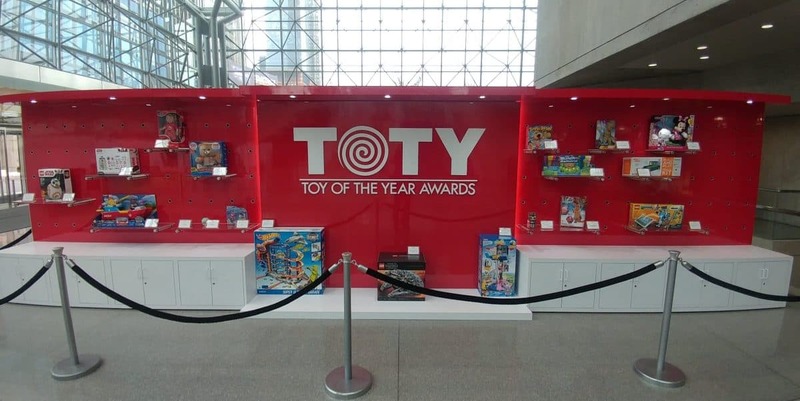 We had gotten a look at many of the nominated toys last year and were interested to see who won. 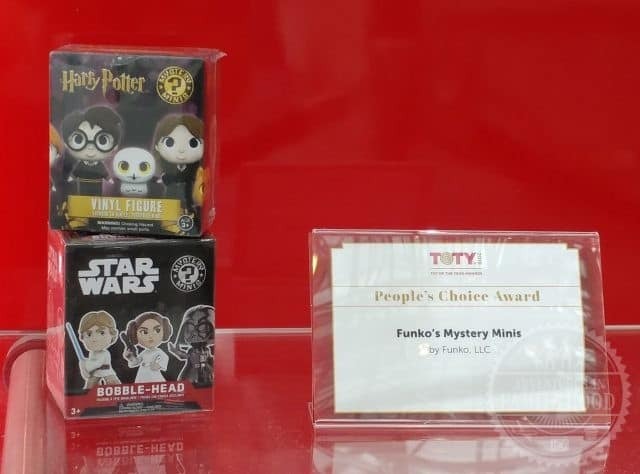 The winners were on display during Toy Fair 2018 at the Jacob Javits Convention Center in New York City. 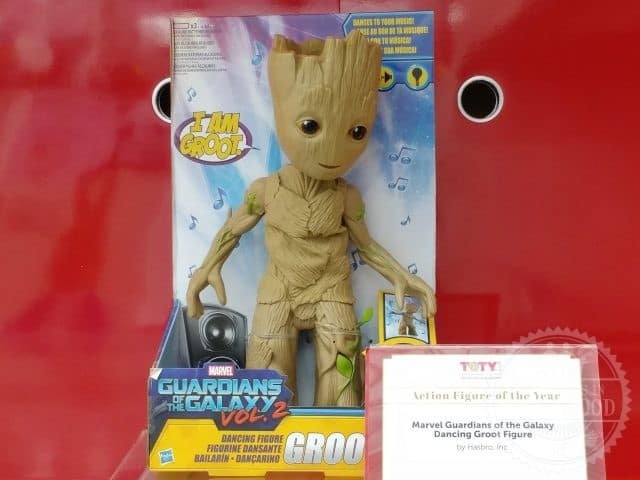 Marvel Guardians of the Galaxy Dancing Groot Figure by Hasbro, Inc. When a far-out beat from the movie starts to play, the 11.5-inch Groot can’t help but to get those roots in motion! Fingerlings animatronic baby monkeys come to life by reacting to Human touch, sound, and motion. Packed with 40+ realistic sounds and motions they will let you know how they are feeling. This was one of the hottest toys of the holiday season. They were hard to find and everyone wanted them. 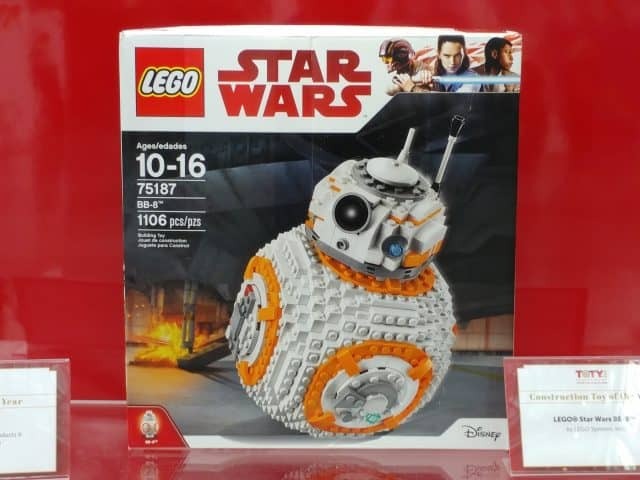 LEGO® Star Wars BB-8™ by LEGO Systems, Inc. Turn the wheel to spin the head and turn another to open the hatch and see the welding torch pop out, just like it did in the movie! How I wished one of my kids would have asked Santa for this one, just so I could have helped put it together!! Kids can create their own custom Droid™ and bring it to life! 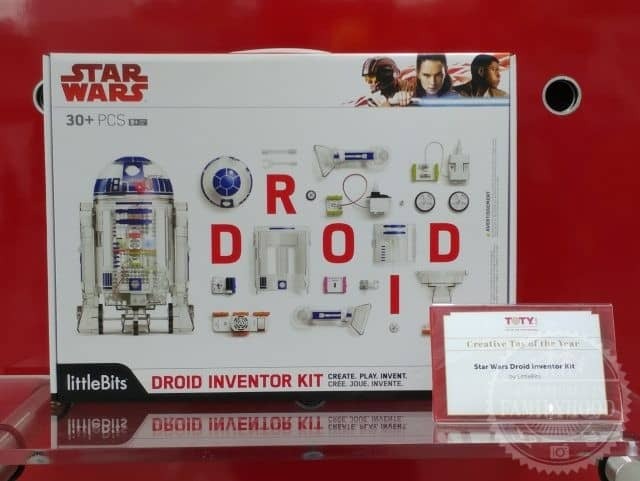 Using littleBits electronic blocks and the free Droid Inventor app, they’ll teach their R2 Unit new tricks and take it on 16+ missions. When I saw this in person at the HoliDAY of Play event, I wanted one. In my opinion, it should have been Toy of the Year. But I think the price kept it from being in demand. Otherwise, I think it has everything you look for in a toy. 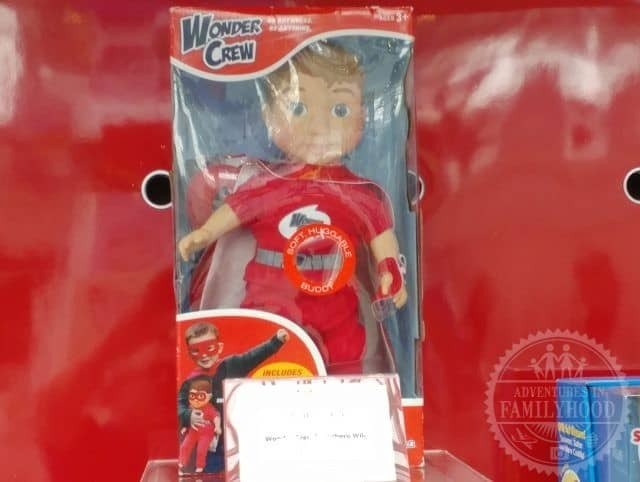 Wonder Crew combines the adventure of an action figure with the emotional connection of a stuffed animal to give boys a best friend! This huggable superhero buddy is a sidekick for boys, & he comes with a matching cape & mask for the child, too! With Wonder Crew, boys experience adventure through friendship…they can go anywhere and be anything! Soggy Doggy by Spin Master Ltd.
It’s the showering, shaking doggy bathing game! 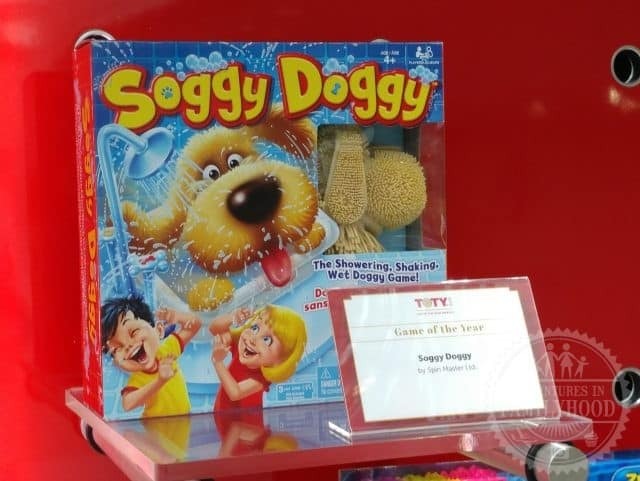 Players race around the board washing Soggy Doggy, but watch out – if he shakes, a player gets a little wet then they go back to the start. Be the first to make it around the board to the doggy basket to win! We have Soggy Doggy in our house. The kids love it. It’s a simple game, but it’s super cute and lots of fun. 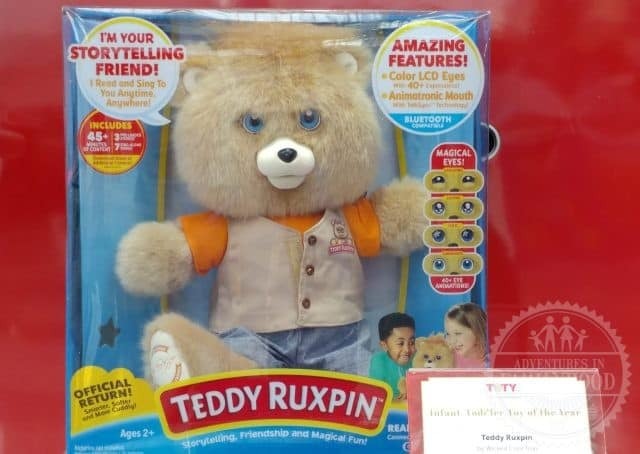 Named as one of the 100 Greatest Toys of All-Time by Time Magazine, the new Teddy Ruxpin will engage with a whole new generation of preschoolers and pre-readers whose parents and grandparents adored Teddy for his wholesome fun, exciting interactive adventures and cutting edge technology, making Teddy Ruxpin more captivating for kids than ever before. 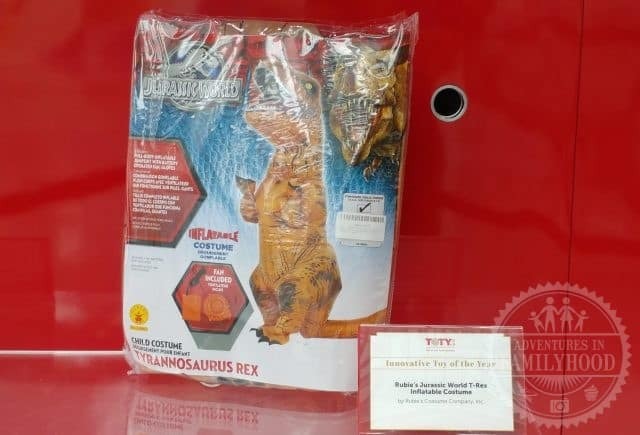 Rubie’s Jurassic World T-Rex Inflatable Costume by Rubie’s Costume Company, Inc.
the very FIRST fully-enclosed inflatable costume having total head-to-toe coverage. It is crafted to withstand heavy use and also be hilarious, with a bobbing head, tiny hands, over-sized tail. The brand continues to be relevant after 40 years, leveraging content from the classic films and new films, books, games and more across The Walt Disney Company. From tech products to collectibles to fashion, Star Wars continuously reinvents for modern consumers. The new Filler/Soaker can fill Bunch O Balloons or double as a water blaster that shoots over 30ft! 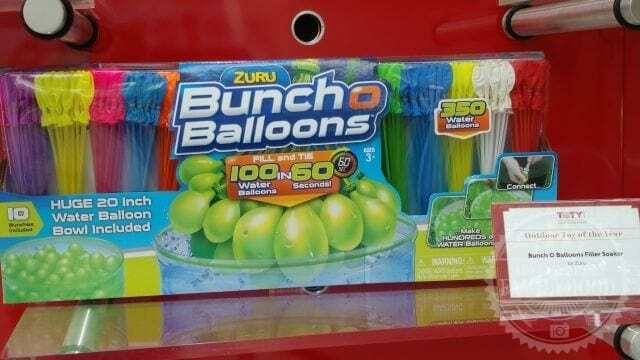 There’s no need for a hose – just attach the balloons to the front nozzle, place the Filler/Soaker into a bucket or a pool and make hundreds of self-sealing water balloons in minutes! 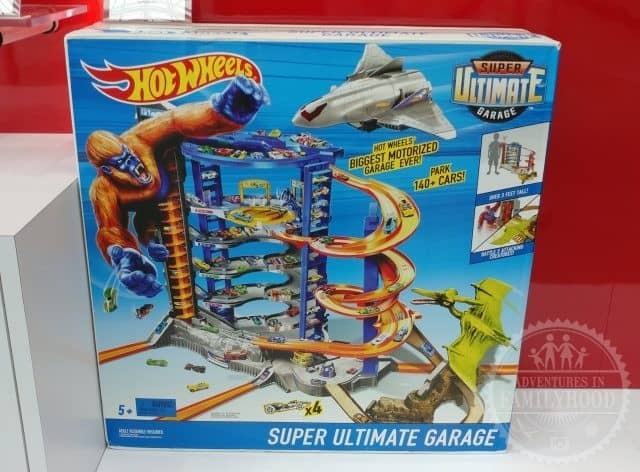 Hot Wheels® Super Ultimate Garage by Mattel, Inc. It stands over 3 feet tall and stores over 140 cars for hours of endless play. It also features a motorized elevator that can transport up to 23 cars at a time and a menacing gorilla who can climb the tower and will try to swipe your friends out of the elevator. 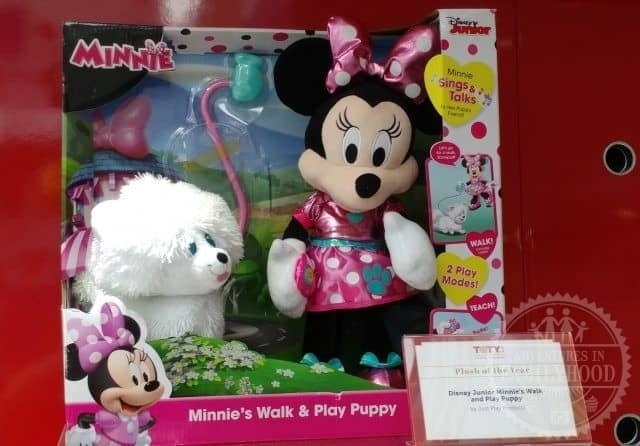 The Minnie’s Walk and Play Puppy Plush features two modes of play. Use the clicker to teach Snowpuff to bark, spin, and dance. Then go on a dog-walk together! Minnie sings and talks to Snowpuff, who makes happy doggy sounds! 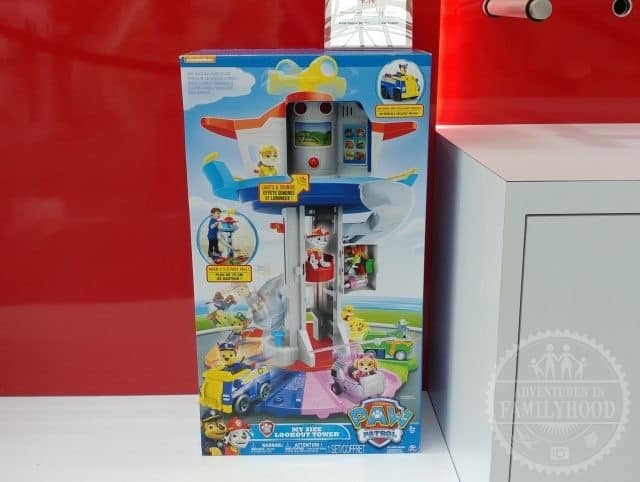 PAW Patrol My Size Lookout Tower by Spin Master Ltd.
Bring the most iconic location in Adventure Bay to life with the new Life Sized Lookout Tower playset. With a working elevator, a backpack storage unit, lights and sounds, a functioning periscope and more, it’s never been easier to recreate moments from the show and embark on new PAW Patrol rescues. 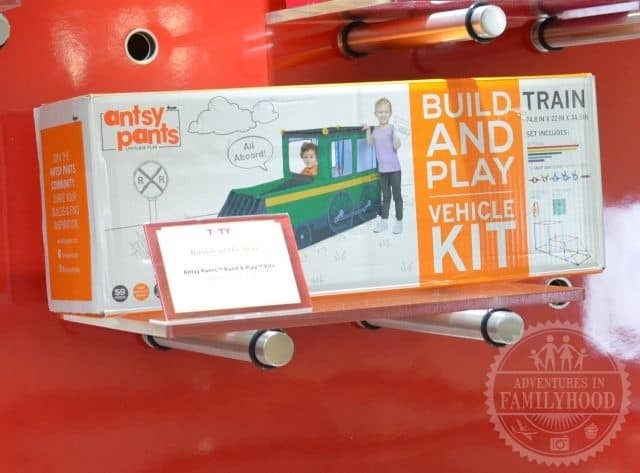 Antsy Pants Build and Play Kits and Covers are designed to nurture little minds to imagine big. Build your structure and choose a cover, or create your very own build. Play is limitless with Antsy Pants! 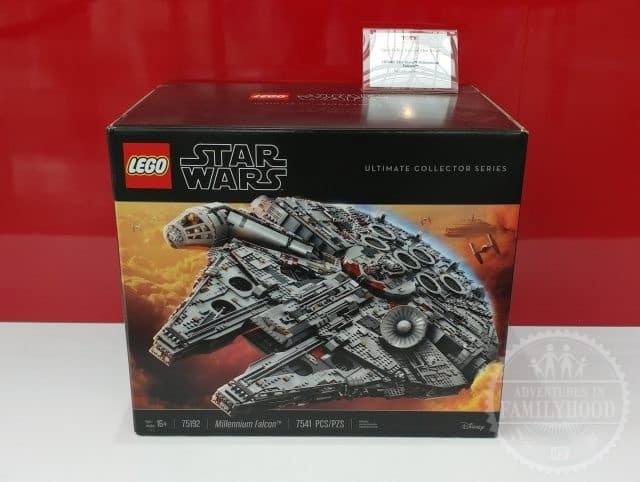 LEGO® Star Wars™ Millennium Falcon™ by LEGO Systems, Inc. This 7500 piece LEGO interpretation of Han Solo’s unforgettable Corellian freighter is one of the largest, most detailed & biggest model we’ve ever created. LEGO® BOOST Creative Toolbox by LEGO Systems, Inc. Kids add sound, movement and personality to their LEGO creations, bringing to life anything they build. 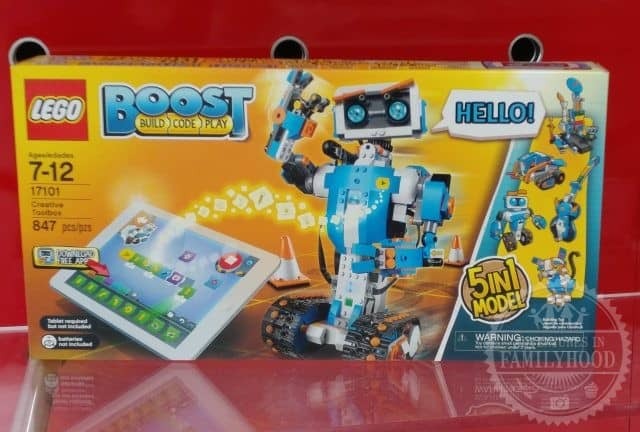 Using familiar LEGO elements and simple coding language, LEGO BOOST delivers quick success in an intuitive approach. 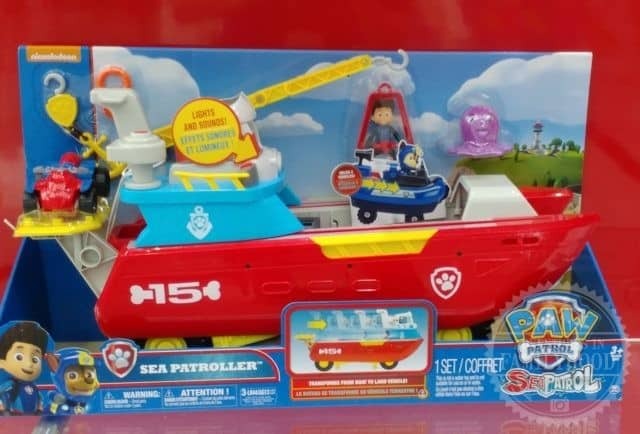 PAW Patrol Sea Patroller by Spin Master Ltd.
It’s equipped with a boat-load of features including lights and sounds, a working crane, a life-saver launcher, and storage for basic vehicles. Funko’s Mystery Minis by Funko, LLC. Funko’s Mystery Minis shrink beloved characters down in stature to 2.5 inches tall with adorable stylized designs. L.O.L. 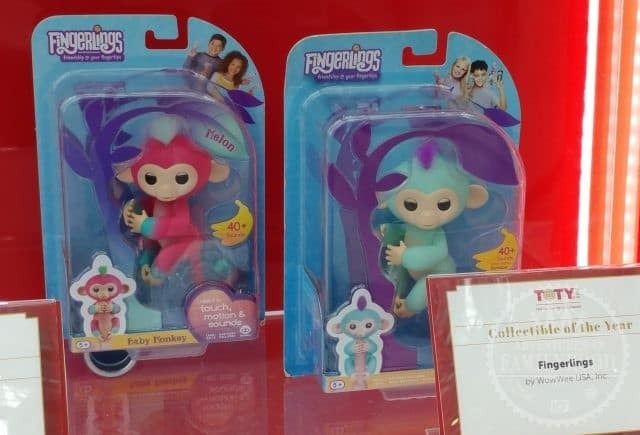 Surprise by MGA Entertainment & Fingerlings by WowWee USA, Inc.
We already talked about Fingerlings for Collectible of the Year. The other winner was another big holiday item. L.O.L. Surprise! dolls added a unique twist on the traditional blind bag. Each layer reveals a hint of which fierce, fashion-forward L.O.L. Surprise! doll you’re unboxing. Do you have any of these award-winning toys? Do you think a favorite toy of yours was snubbed? Let your voice be heard. There’s a comment section just for that!